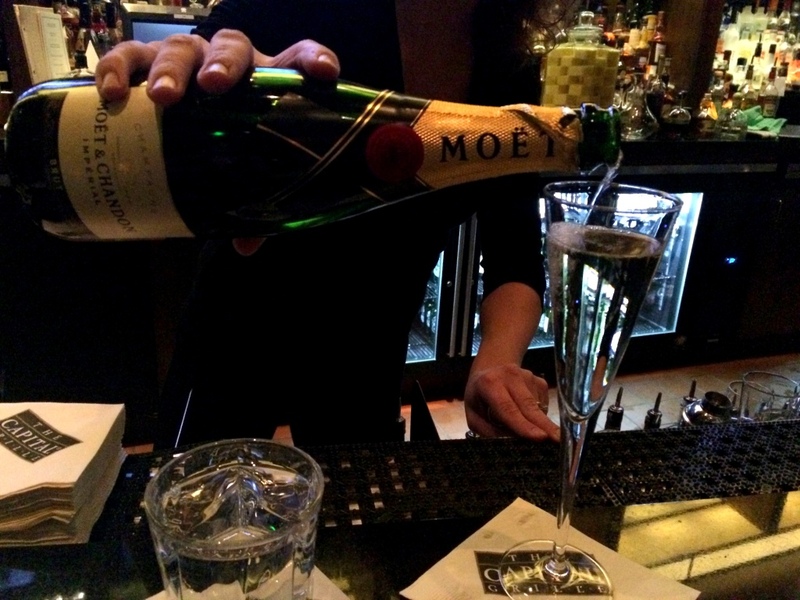 We started with the Moet & Chandon Imperial – blended from 100 different wines! The other champagnes being recommended by The Capital Grille this holiday season are the Chandon Brut Classic (the lowest-priced option) and the Dom Perignon (highest-priced). 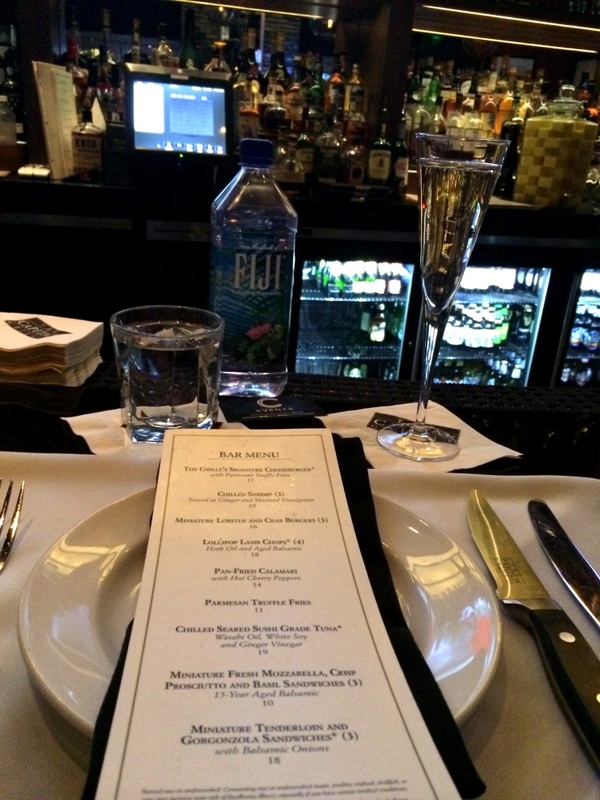 I felt very fancy indeed what with my bubbles sitting alongside my FIJI WATER. No tap to be found here! 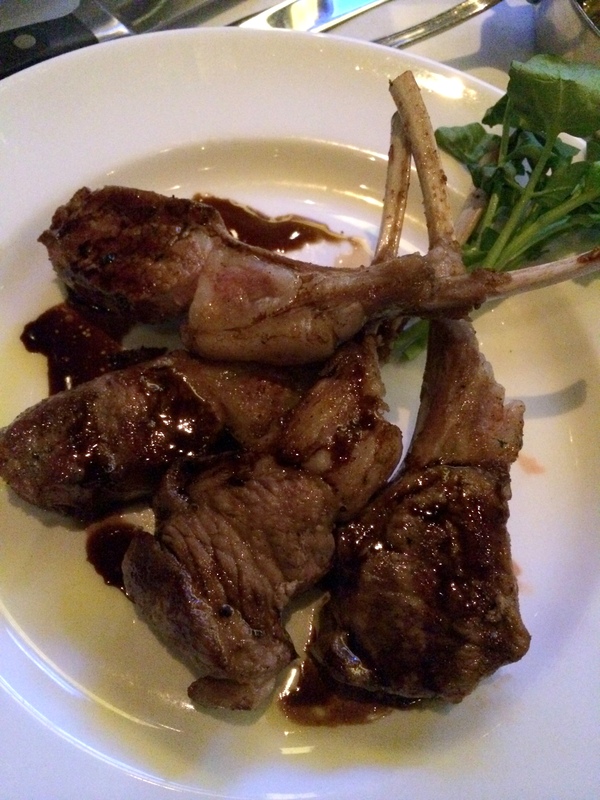 We started with a couple of bar menu items sent out by the staff – lobster and crab cakes, and lamb lollipops. I thought the lamb was delicious and very well-cooked, but the lobster and crab cakes were absolutely to die for. 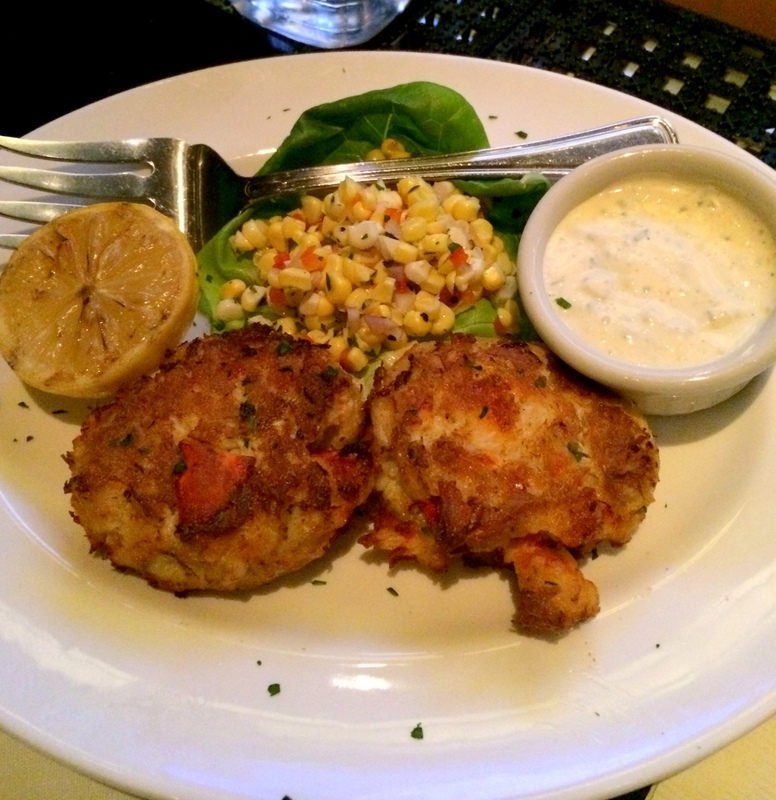 I loved the addition of the lobster to the usual crab, and also the corn salad that the cakes came with! I actually ended up dipping the lamb into the tartar sauce that came with the cakes, and that was a great idea if I do say so myself. 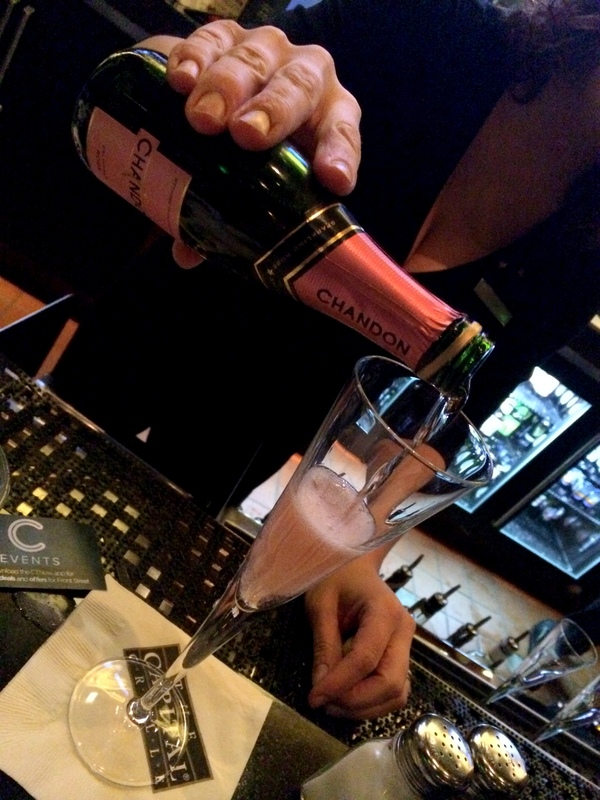 After our champagne we decided to stick with bubbles – but turn them pink! We shared a split of the Chandon Rose. The Capital Grille has an extensive wine selection, beyond just bubbles. Each tablet menu is equipped with a nifty guide that helps guests choose the right wine thanks to its ability to sort by region, flavor and grape. It even contains a food pairing guide! I spotted my favorite cocktail on the menu and had to take a photo. I like that their default whiskey is Gentleman Jack! 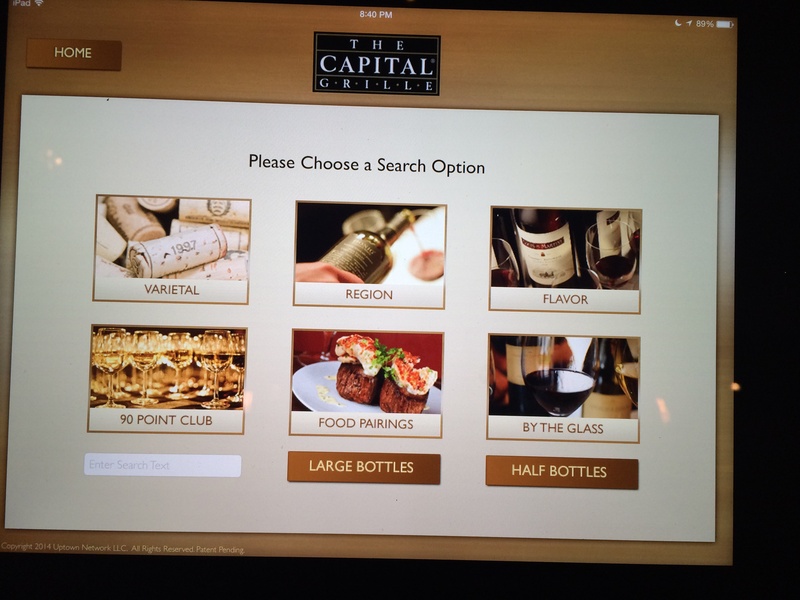 By the way , the Capital Grille also offers wine lockers for annual lease. Kat pointed out to me the lockers of both The Hartford Courant and CT1 Media. 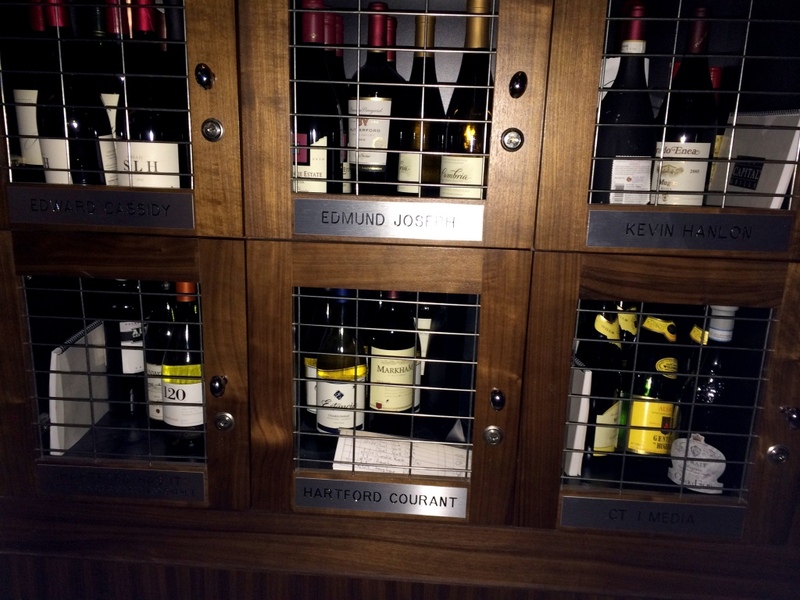 Hartford has it people – Hartford has wine lockers. One day I hope to be boss enough to have a wine locker. OK, back to the food! To accompany our proteins, Kat and I ordered a side of the Brussels sprouts with bacon and shaved Parmesan cheese. Is there any bacon better than steakhouse bacon?! These were absolutely incredible. I loved how fresh the cheese was. And seriously, the bacon though. Kat ordered her beloved Stoli Doli, made with pineapple infused vodka. I was skeptical at first, but tried a sip and it wasn’t as sweet as I thought it’d be! Probably because the pineapple is infused into the vodka – none of that excessive overly sweet pineapple juice. 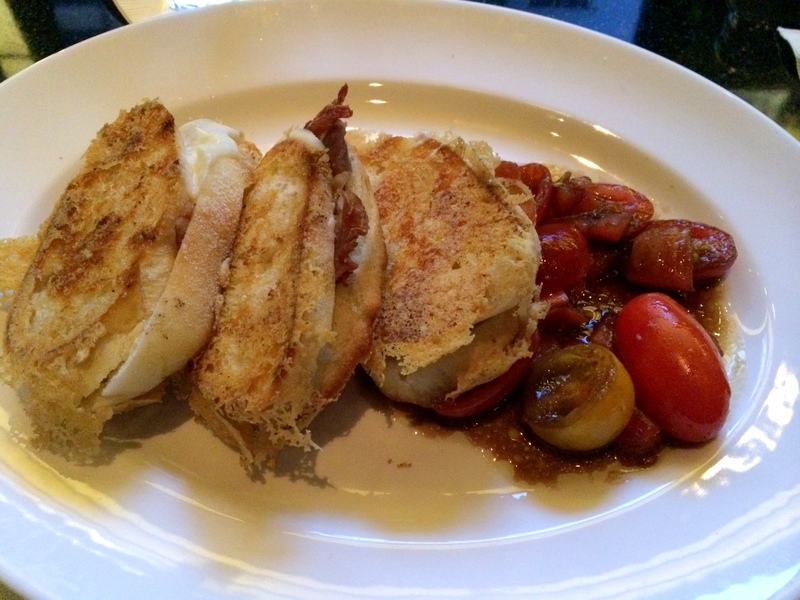 We also munched on one more thing – the mini prosciutto grilled cheese sandwiches with balsamic tomatoes on the side. Wow wow wow. So good! I really was craving bread and what better way to have it than with prosciutto and cheese! 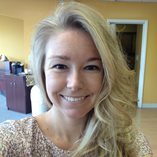 I almost thought this photo was of strawberry shortcake when I uploaded it to my computer! 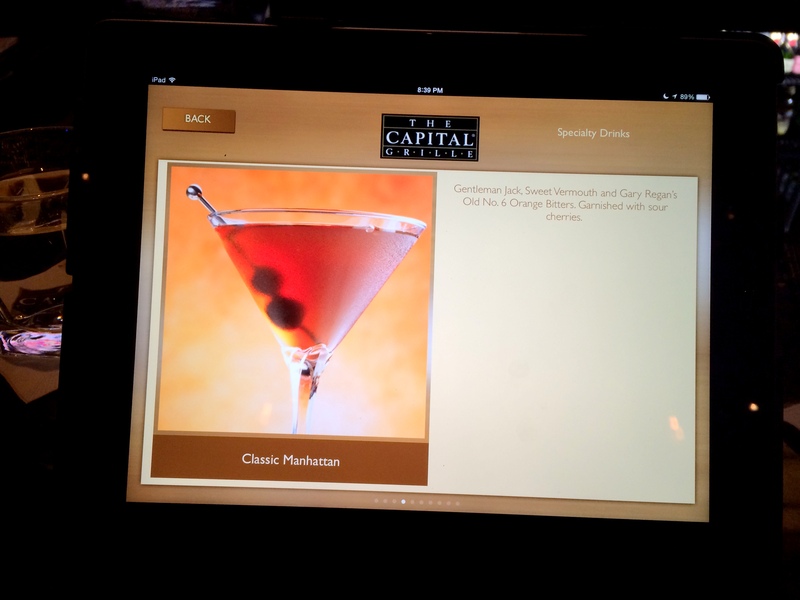 I found my first experience at The Capital Grille to be totally awesome. 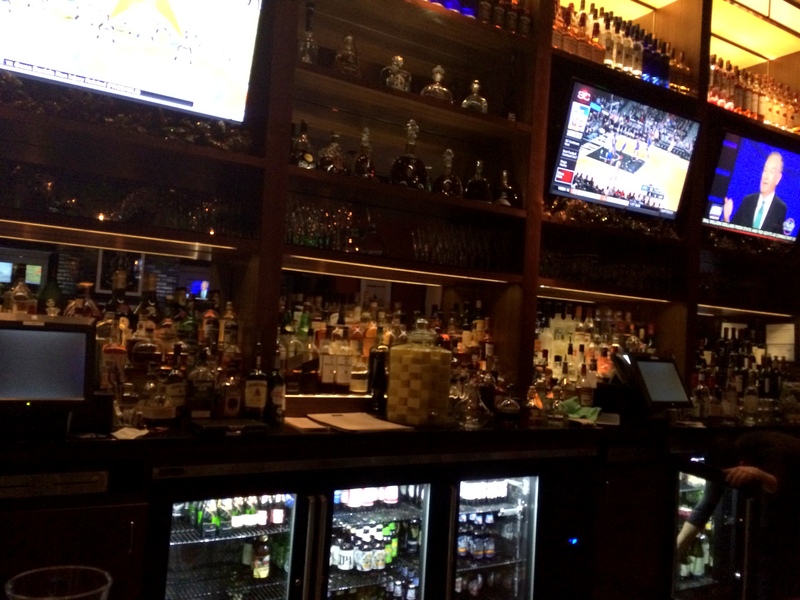 I was impressed by the food, drinks, service, and ambiance. I’d love to return and hopefully order some STEAK! I don’t know how I managed to visit a steakhouse and not try the steak, but then again I guess I do know how seeing as the menu contained so many other delightful goodies. There is always a next time 🙂 I’m sure Kat will be up for joining, or perhaps I can check out a Boston location. Thank you to The Capital Grille for a totally awesome experience and special thanks to Carrie for such excellent service! When you visit steakhouses, do you usually order steak? What’s your favorite time of year for drinking bubbles?